Membership offers a wide range of benefits from learning to fly to meeting new friends and just enjoying a very social day out at the club. We are an all volunteer club and that means instructors and tug pilots give their time for free to give you the opportunity to learn to fly or convert your PPL/NPPL to flying a glider. 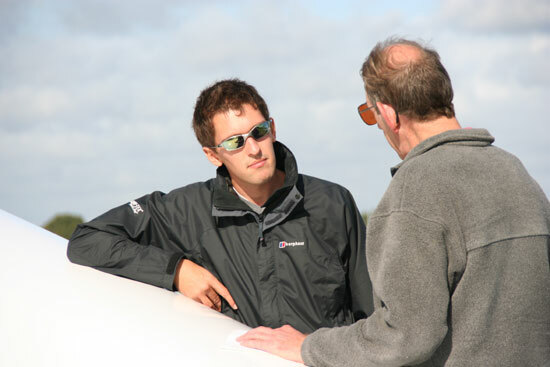 At the end of the day and after the gliders are re-packed in the hanger it’s time to open the bar and with the occasional BBQ, discuss the days flying with other members. Everyone mucks in together to ensure a fun days flying and most people find getting involved with unpacking the hanger, moving gliders around the airfield, hooking up the rope for the next launch and recording flights in the flying log as much fun as flying itself. Contact us now to arrange a visit and to join us.